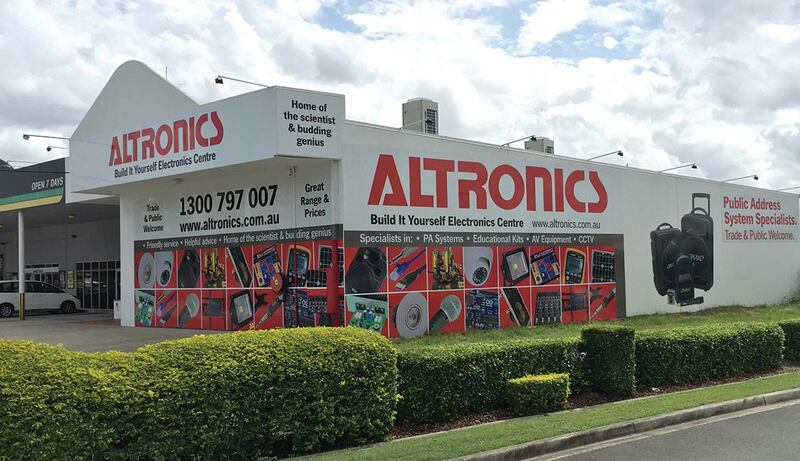 For over 40 years Altronics has been a valued supplier of quality electronic components & public address equipment. Offering 10000+ products, available from our Stores and online. 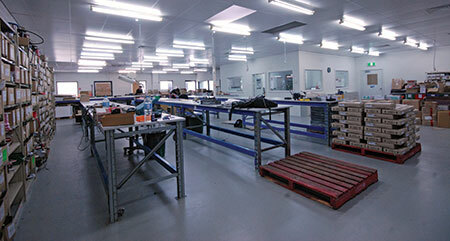 Established in 1976, we are a fully Australian owned and operated company. 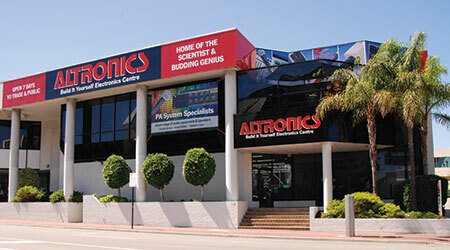 We supply electronic components and finished goods to customers throughout Australia and around the world. We are committed to ensuring we offer a high level of product quality, back up and service. Resistors, Capacitors, Transistors and FETs, Relays, Plugs & Sockets, Switches, P.A. & Hi-Fi Speakers, Sirens & Buzzers, P.A. Amplifiers and Equipment, Microphones, Fans, Heatsinks, Hardware, Test Equipment, Transformers, Inverters, 19" Rack Frames and Cases, Security Equipment, Tools, Soldering Irons, Batteries and Kit Sets. Employer of over 100 people in 5 states. 5 warehouses located in capital cities for local access to our product range. 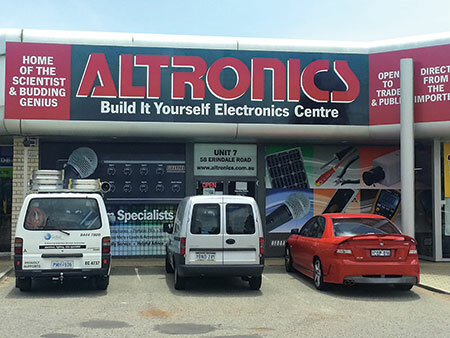 8 "Build It Yourself Electronics Centres" in Western Australia, Victoria, New South Wales & Queensland. Product range in excess of 9000 stocked lines. We offer customers a local point of supply for electronic parts from the world's prominent brands and manufacturers. Local manufacturer of professional commercial public address and fire/evac equipment. Local manufacturer of electronic enthusiast DIY kits. We offer over 10000 stocked lines which are as diverse as our customer base that uses them. Our customers include professional installers of audio and security equipment, data and communications specialists, electricians, trades, DIY enthusiasts, makers, inventors and tinkerers! In addition we are also a manufacturer in our own right. We design and assemble the range of Redback commercial public address equipment at our Roe St production facility in Perth, Western Australia. We have pushed for innovation within the professional sound industry, helping our customers save time installing products with products like the One-Shot speaker grille. Founded by Jack O'Donnell in 1976, we have grown immensely from our humble beginnings as a parts supplier in Stirling St, Perth. Jack has built a company from an interest in electronics that sprouted at the age of 14 when he assembled his first electronic kit, a crystal set! Jack started the 'supermarket' style electronics store, allowing customers to come in and browse the available parts and pick themselves. Previously, parts suppliers were primarily a "trade counter" attached to a warehouse where only staff had access to the parts. This often meant long waits for customers, only to be informed the part they wanted was out of stock! Jack also saw the potential for a WA based mailorder service for parts, allowing customers to take advantage of the eastern states time difference to order late in the day and still receive parts the next day via air freight. A benefit that customers can still take advantage of today. 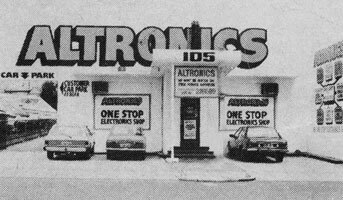 In the mid-80's Altronics had truly outgrown its small Stirling St premises, and Jack began the process of combining the wholesale and retail divisions of the company in one central location. And so the head office at 174 Roe St, Perth was built. Where the head office still resides to this day. 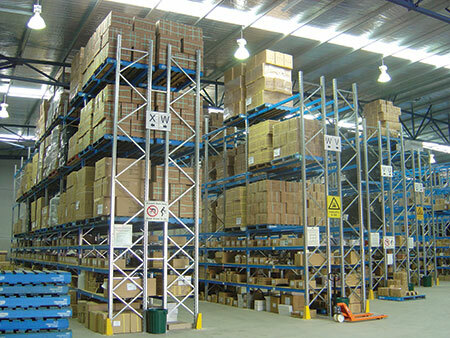 Since that time, we have expanded our operations to include bulk warehouses in Brisbane, Sydney and Melbourne, plus having out-grown the Roe St warehouse, we expanded to a new warehouse in Balcatta in 2010. 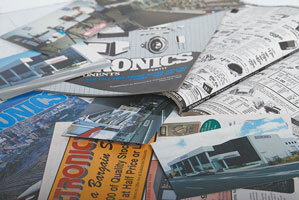 Products sold Over 10000 individual lines of electronic components & products. Our customer base includes consumers, government, OEMs, trade distributors, retail chains, installers, engineers and alike. 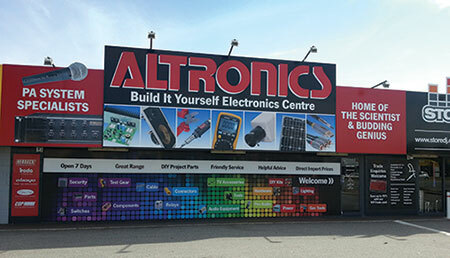 Our distribution channels include Australia, New Zealand with representatives in Malaysia, Hong Kong etc Our products and range consist of commercial public address products, a wide range of electronic components and equipment, CCTV products, audio visual products, alternative energy products, and electronic project kit sets. Our marketing consists primarily of a full colour 400+ page Product Catalogue (printed every 18th months) containing our entire range and supported with an online website. Regular marketing campaigns both in electronic form and printed form are also utilised to fulfill our marketing process.